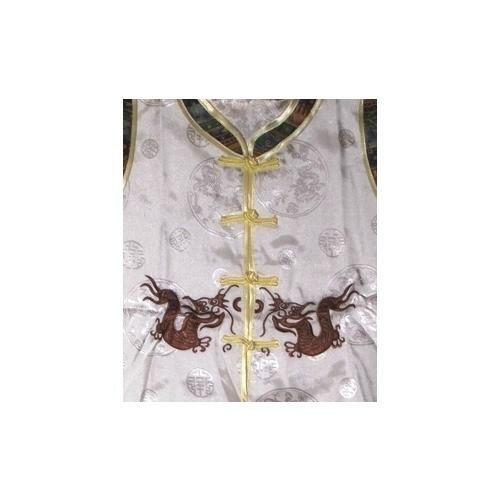 Children's Chinese pyjamas adorned with dragons and oriental symbols. 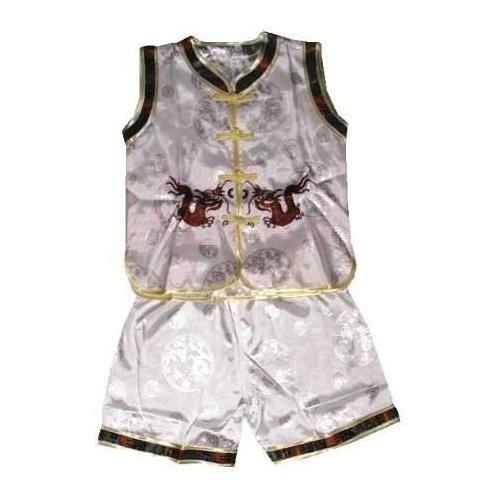 The unisex Chinese pyjama suit is white in colour, and has short length elasticated trouser bottoms. The waistcoat style tops, and the trousers have decorative borders, as has the mandarin collar. The pyjama top is fastened with dash frog buttons, and is adorned with embroidered Chinese dragons. The Chinese pyjama suit is made with a jacquard fabric.